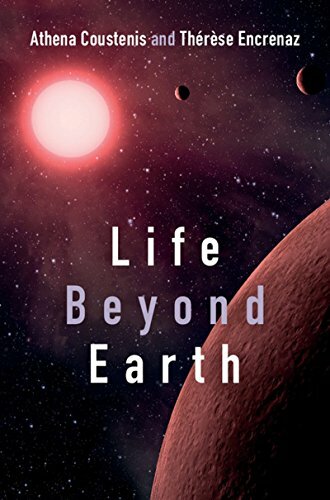 [PDF] Life Beyond Earth: The Search for Habitable Worlds in the Universe | Free eBooks Download - EBOOKEE! Description: What is life and where can it exist? What searches are being made to identify conditions for life on other worlds? If extraterrestrial inhabited worlds are found, how can we explore them? In this book, two leading astrophysicists provide an engaging account of where we stand in our quest for habitable environments, in the Solar System and beyond. Starting from basic concepts, the narrative builds scientifically, including more in-depth material as boxed additions to the main text. The authors recount fascinating recent discoveries from space missions and observations using ground-based telescopes, of possible life-related artefacts in Martian meteorites, extrasolar planets, and subsurface oceans on Europa, Titan and Enceladus. They also provide a forward look to future missions. This is an exciting, informative read for anyone interested in the search for habitable and inhabited planets, and an excellent primer for students in astrobiology, habitability, planetary science and astronomy. No comments for "[PDF] Life Beyond Earth: The Search for Habitable Worlds in the Universe".